Welcome to Emergency Plumbers Dublin. If you are looking for a plumber in Dublin 1 you have come to the right place. Our Plumbers Dublin 1 team are on call 24 hours a day 365 days a year to help you with any unforeseen plumbing problems you may have. 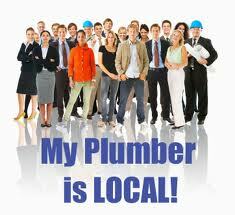 When you call us we can have a plumber out to your home or business within an hour guaranteed, often a lot quicker. All of our team are fully qualified and vastly experienced, some having over 35 years expertise within the domestic and commercial plumbing industry. All of our staff are R.G.I. registered and are covered by public and professional indemnity insurance. We have built a reputation for customer satisfaction, we have expert domestic plumbing knowledge and are very competitively priced. Our customers know that when we start a job we ensure that the job is finished to the highest standards. This means you can rest assured, and sleep soundly knowing that you will be completely satisfied with our services. Plumbers Dublin 1 covering the following areas. Abbey Street, Amien Street, Capel Street, Dorset Street, Henry Street, Mountjoy Square, Malboro Street, North Wall, O’Connell Street, Parnell Square and Talbot Street. We pride ourselves on our honesty and operate our business as openly and transparently as possible. We always offer our clients the best possible price and plumbing services available. Our approach has been the foundations upon which our reputation has been built over many years we have been trading in Ireland. Our Dublin 1 Plumbers do not charge for call outs and we are happy to give advice and no obligation quotes. If you need urgent assistance from our local team just give us a call today on 01-6874850. Your local plumbing company for all your plumbing services.